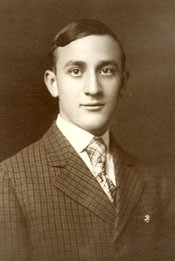 Raiford Kemp Malone (1889-1971) graduated from Emory College, Oxford, Georgia, in 1907. He subsequently studied at the University of Chicago. After graduating, he taught medieval literature at Johns Hopkins University from 1924 to 1956 and had a prolific career in medieval literature. He published more than 500 articles during his lifetime, and held the distinguished position as the president of the Modern Language Association. His wife, Inez, donated his library to Emory University in 1974, which houses 20,000 volumes, most of which reside in Emory’s Manuscripts and Rare Books Library (MARBL). His papers reside at Johns Hopkins University.